Modern Santa Claus is known to be an amalgam of influences, not the least of which is the Germanic god Odin. It is important to realize that there were many other holiday figures, both male and female, that did not find their way over to our modern American Christmas celebrations. German male figures such as Krampus and Knecht Ruprecht are coming up more and more in news and entertainment media. 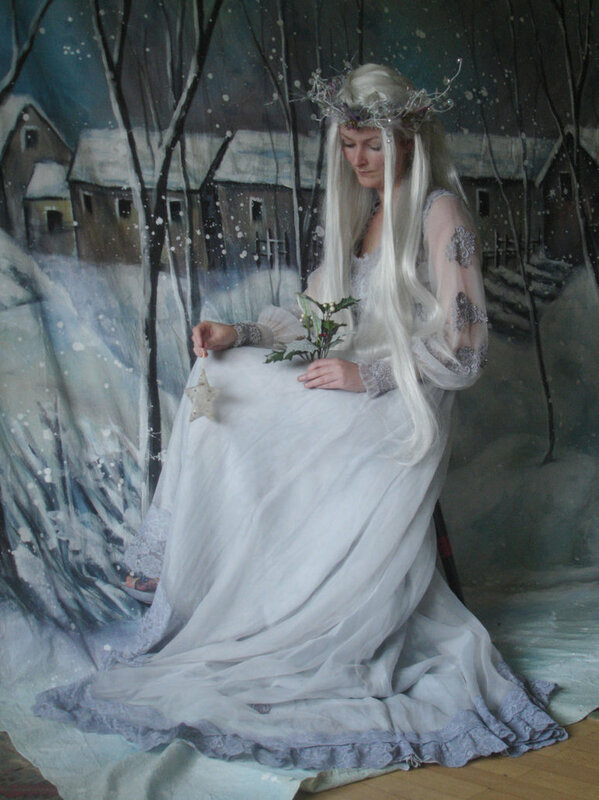 So I would like to take this opportunity to celebrate the female side of Old Yule,Mothers night. A great place to start is the Germanic holiday of Mōdraniht. This holiday was part of the Yule festivities. Many people already know that the Twelve Days of Christmas comes from the fact that Yule was not just a one day celebration, but rather a festival that lasted for several days before and after the Winter Solstice. Mōdraniht is literally translated as Mothers Night, or Night of the Mothers. We don’t know a lot about this celebration because it would have been suppressed after conversion to Christianity. We do know that it was a time to celebrate motherhood and probably other female ancestors. This celebration of the feminine may be related to the age old correlation between the fertility of women with fertility of crops, and with rebirth of new life. The Winter Solstice, after all, celebrated the rebirth of the Sun and lengthening of days. Just as it is in other indigenous religions, ancestor veneration was a very important aspect of Germanic spirituality. Both male and female ancestors were honored. But, it seems that female ancestors played an important role as guardians of the family line.